Sustainable tourism may be a new phrase to some, just like climate change a few years ago. In light of creating awareness on sustainable tourism, the South Pacific Tourism Organisation (SPTO) held its first media roundtable session with members of the media in Fiji and from the region last Thursday, in Suva. The Roundtable was organised as a platform for SPTO to connect with the media, to inspire a better understanding on the topic of sustainable tourism and initiate a collaborative effort on how to effectively communicate the sustainable tourism messaging to all audiences and stakeholders. At the United Nations conference on Sustainable Development (Rio+20) in 2012, Heads of States adopted the 10-Year Framework of Programmes on (SCP) Sustainable Consumption and Production Patterns (10YFP). 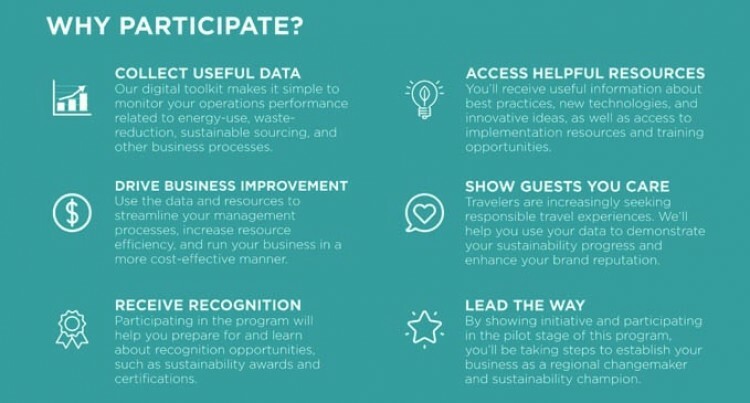 This was a global framework for action to accelerate the shift towards SCP including resource efficient and low carbon tourism, in developed and developing countries. In 2015, the Pacific Sustainable Tourism Alliance (PSTA) was formed as a public-private partnership with the SPTO to help fast track sustainability in the region. Sustainable travel international working with the SPTO under the auspices of the PSTA, was awarded a grant through the 10YFP Trust Fund call for proposals for sustainable tourism programme to implement a pilot project focused on improving sustainable resource management in hotels in the Pacific. The destinations participating in the preliminary stage of the project are Fiji and Samoa; however the eventual intention is to expand to other Pacific Islands.